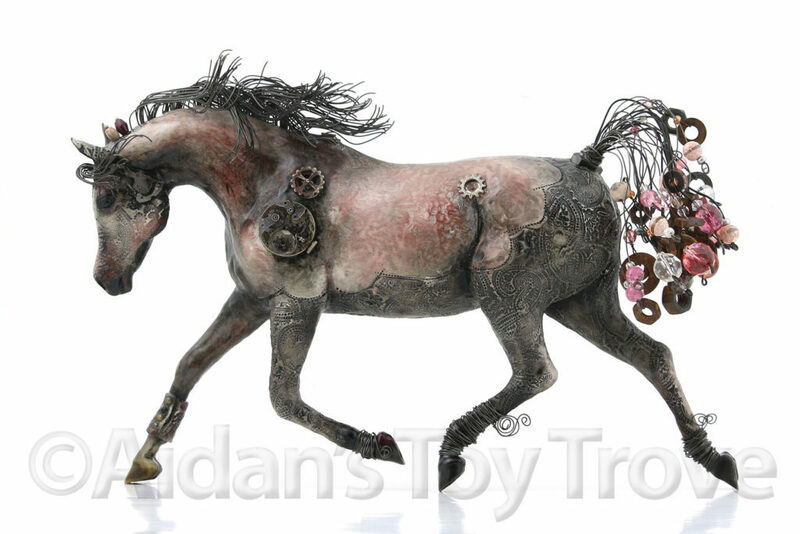 We have been woefully behind on listing our beautiful selection of Breyer Custom Steampunk Horses by Elayne Watrus. 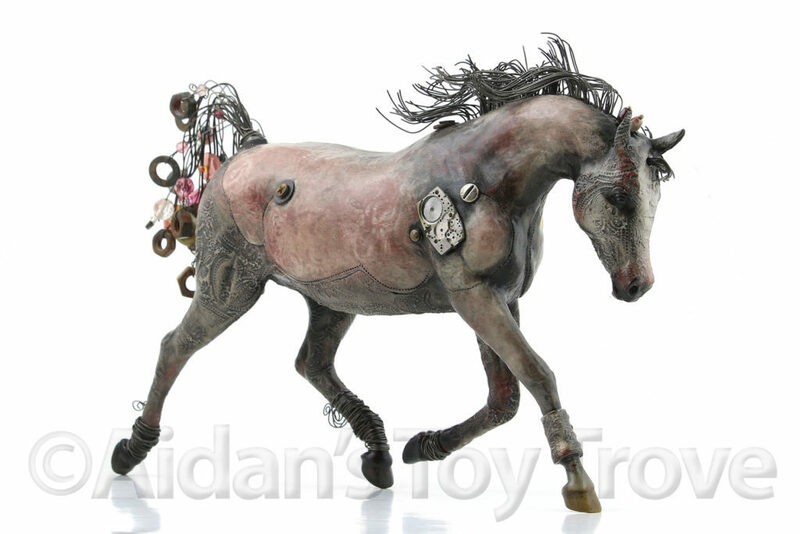 The last batch of horses that I received from Elayne all had exceptional beauty and attention to detail. To those of you local to Crescent City, Elayne Watrus once called Crescent City home. It’s amazing to me how this sleepy little town produced such a talented and unique artist as well as a wonderful friend. 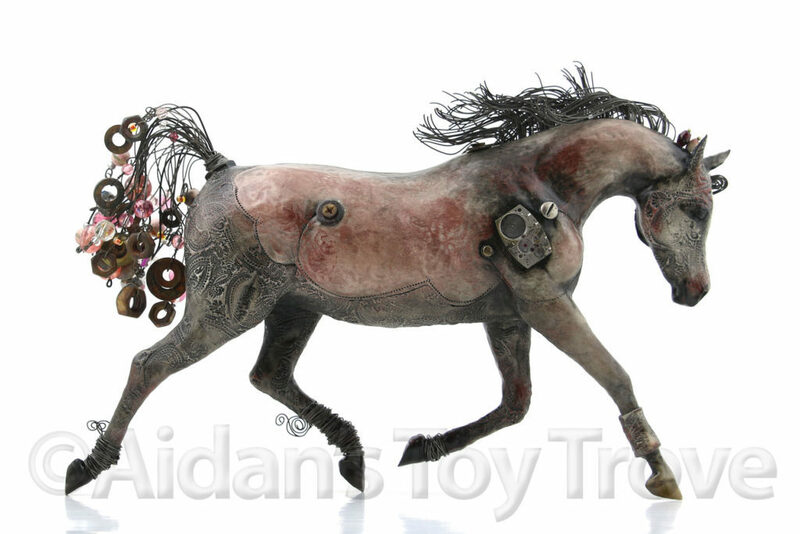 If you have visited Aidan’s Toy Trove Retail Store, we have one of Elayne’s Steampunk Creations on display in our glass display case. 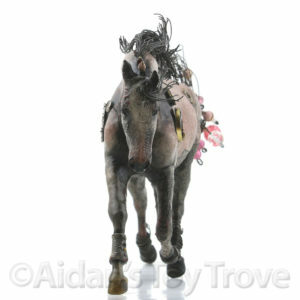 Bonus points if you can show me which Breyer Horse the horse in the cabinet was made from! The original Breyer is on our shelves! 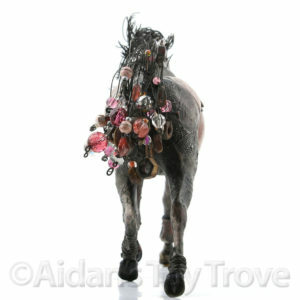 For archival purposes, I’ll show some of the pictures of this wonderful horse here. Many more pictures are available in the auction eBay Auction. I encourage you to take a look. You won’t want to miss this unique piece! 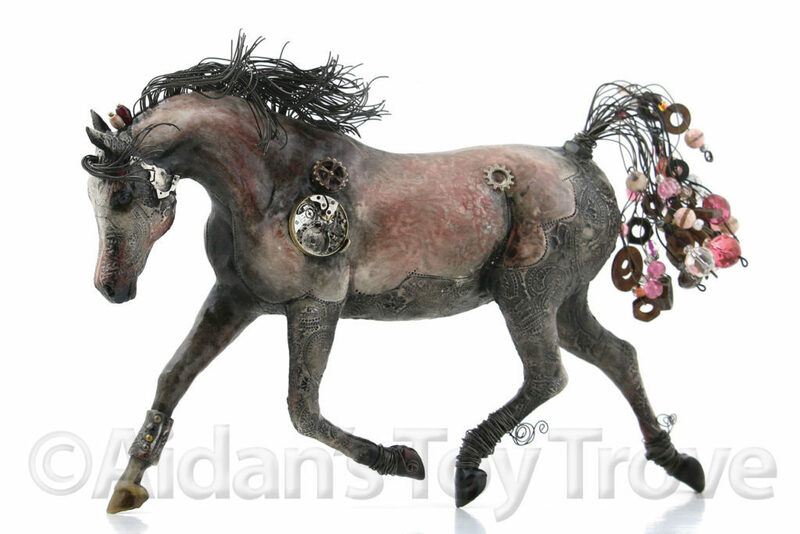 « BreyerFest 2018 Straight Bet – Special Run #1 Revealed!